For the adventurous driver searching for a balance between refined highway driving and off-road performance, the Bridgestone Dueler A/T has it all. The Dueler A/T lets you conquer both worlds... without compromising the comfort of a civilized ride. A large, deep (13/32"-16/32") tread block design serves a dual purpose-combining all-season highway performance with outstanding off-road traction. The sleek styling features your choice of raised outline white letters or serrated black letters. 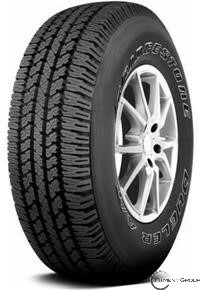 The Dueler A/T also has Bridgestone's 30 day test drive guarantee.